We are tired of seeing so much misery, sickness, suffering, violence, inequality, deceit, and corruption in the world. We have reached the limit! 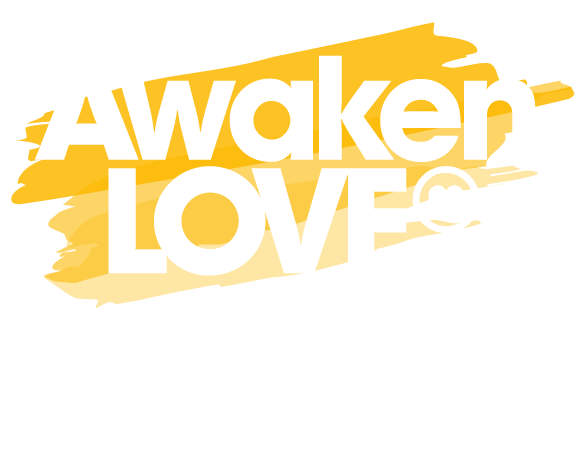 AWAKEN LOVE is a movement created by humanitarian leader Sri Prem Baba with the goal of creating a new way of living in society where LOVE is part of politics, the economy, business, education, relationships, health, and mainly, in our daily lives. Evil is very well-organized; all we have to do is look around to see this. THE TIME HAS COME TO ORGANIZE LOVE. Imagine the effect of millions of people dedicating themselves to awakening love in every sector of society? This is our dream! We are creating a network, joining forces and committing ourselves to a world full of purpose, prosperity and peace. We are many connected all over the world and you can further strengthen this network! YES, THE TIME HAS COME TO ORGANIZE LOVE! TOGETHER WE GAIN STRENGTH AND COURAGE, WE REMEMBER THAT WE ARE NOT ALONE AND WE BECOME A LINK IN THE CHAIN OF LOVE. If this is also your belief, come join us! We are many and you can strengthen this chain even more. We need to take a stand in a world where so many decisions are made without consciousness. Joining our voices creates the power to influence, open doors and support actions. Soon we will have petitions and give voice to important causes to bring about necessary changes. Stay connected by email, where you will receive an invitation to join in mobilizing. If we change, the world changes! We are co-creators of everything that is happening and there will only be a change in society if there is a change in our consciousness. In order for this to happen SELF-KNOWLEDGE is essential! We are being called upon to know ourselves better! You can start now by cultivating silence, which is the basis for self-knowledge. And also by using tools and methodologies that help you in your self-inquiry. This movement aims to encourage all human beings to put their gifts and talents in service of love. Putting our strengths into action towards our life’s PURPOSE makes us enthusiastic to wake up in the morning. The world needs people who act in alignment with their purpose to serve the common good! And this is how, through each person, we can create a new society. Many good things are on the way, but many have already happened! Take a look below at some of our triumphs. The book “Purpose: the courage to be who we are” by Sri Prem Baba, was released in 2016 and became a bestseller! Spreading a culture of purpose is one of our greater goals. When we are acting in alignment with our purpose we feel happier and that we have found our place. 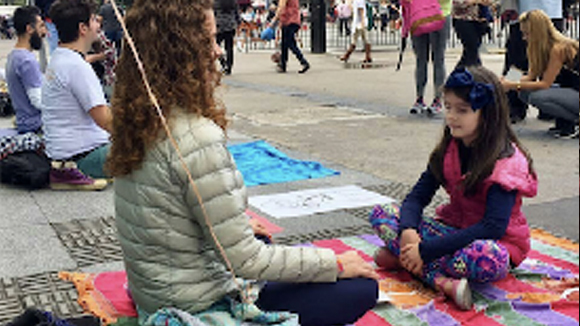 In approximately 40 cities around the world, hundreds of people meet weekly to sing mantras to awaken consciousness and love. These gatherings welcome everyone for a friendly and enjoyable evening. The power of cultivating silence is expanding. Thousands of people around the world are able to experience it in their daily lives! The Just One Minute campaign encourages you, even if it’s one minute a day, to close your eyes, enter into silence, and feel the effects of this practice. 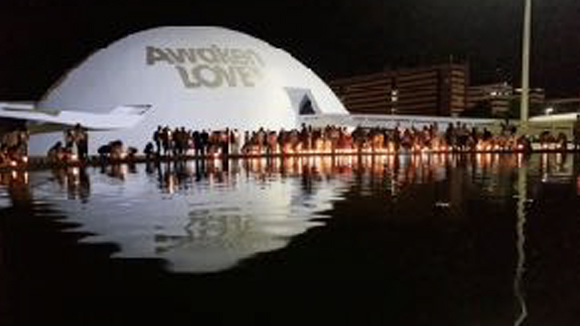 The first Awaken Love Festival was held in Fortaleza in 2015! This gathering encouraged the cultivation of silence, the culture of peace, the environment, and a variety of artistic expressions. It is a day of celebration, for peace and for the awakening of loving consciousness. The Waters for Peace conference is one of the events leading up to the 8th World Water Forum. It seeks to create dialogue around the Alternative World Water Forum, the culture of peace and the sharing of water among peoples and nations. Self-knowledge is a tool that can create profound change in each one of us. We’ve created various methodologies for self-knowledge and they are being used in different places around the world. Many people are already benefiting from this path! We invite you to join this movement, which is growing everyday. A simple and easy way to stay connected is for you to sign up here. This way you will learn about our petitions, campaigns, victories, how you can get closer, how you can contribute, and also receive information about self-knowledge and spirituality. Every person who arrives adds their strength and transformational energy to this movement. Sign up and stay on the next actions of our network!